The Italian Royal Air Force was trying to convert thousands of printed documents into a digital form so they could reformat and display this information on multiple devices. In order to accomplish this, three tasks needed to be undertaken. Convert all printed materials into a digital format (i.e. scans). Use OCR software to convert the pixel representation of this data into a symbolic form. Reformat the symbolic form to display properly on multiple devices, adhering to layout constraints defined by a designer. 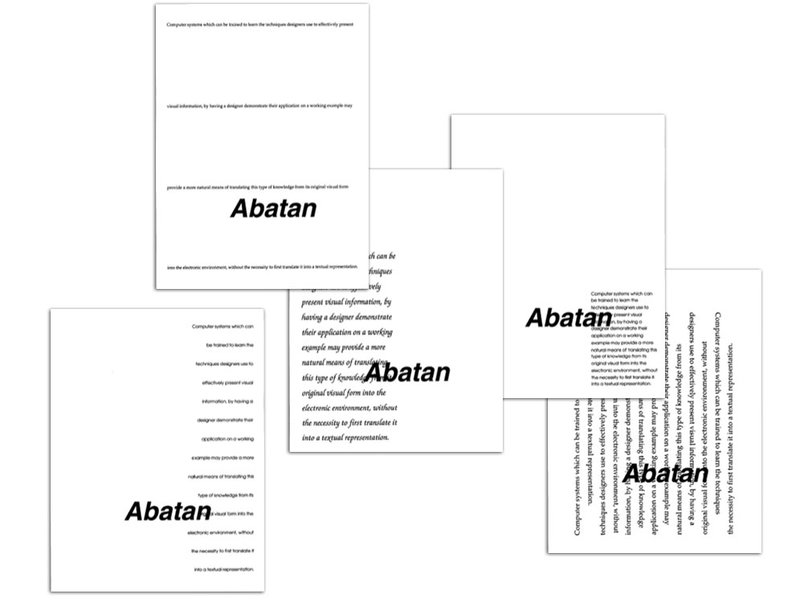 Abatan was created to solve this third task. Instead of trying to teach designers to “speak” in code in order to define the rules that govern a design, its goal was to “watch” them design and format graphical data, and then convert this information into symbolic code “rules” that could then be computationally reapplied. 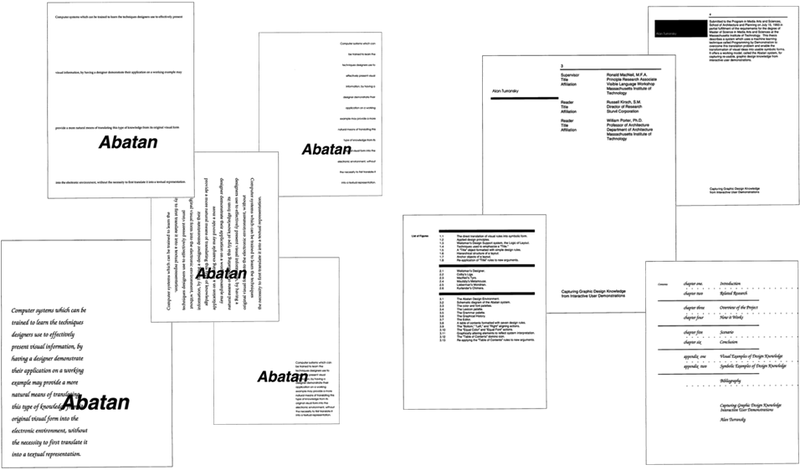 Abatan is an interactive design environment which allows designers to graphically create, manipulate, and describe page-layouts. 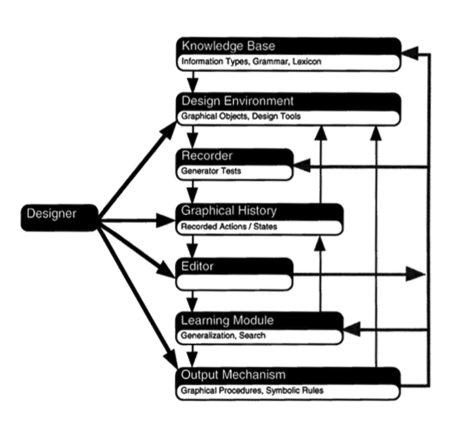 During the design process, the system monitors how the designer assembles the layout. 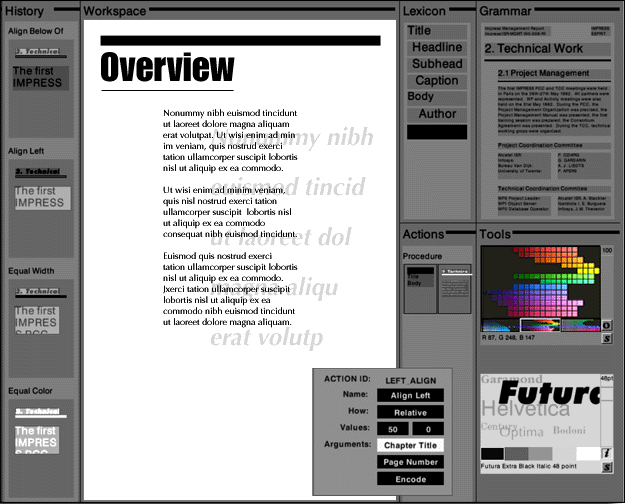 As the designer alters and conforms graphical elements in the layout, the system records the actions performed and directly translates these into generalized computational descriptions that can be re-used to format new elements in a similar style. The goal of the system is to provide visually oriented users with a tool to graphically encode their design knowledge into a symbolic representation, without the necessity to first translate it into a verbal or textual form. Computer systems which can be trained to learn the techniques designers use to effectively present visual information, by having a designer demonstrate their application on a working example provide a more natural means of translating this type of knowledge from its original visual form into the electronic environment, without the necessity to first translate it into a textual representation.